I was eating a bagel this weekend when my wife said to me, “I can’t believe you like their tuna, it’s really fishy.” I hadn’t noticed, but she was right, it was fishy. I hate fish. I’ll have tuna on a bagel, but would never order tuna in a restaurant. “I remember when” shapes our beliefs. We view the world through the prism of our own experiences, whether we realize it or not. Many of our adult behaviors and interests, even those that we consider fundamental to who we are, can be explained by the arbitrary facts of when we were born and what was going on in certain key years when we were young. 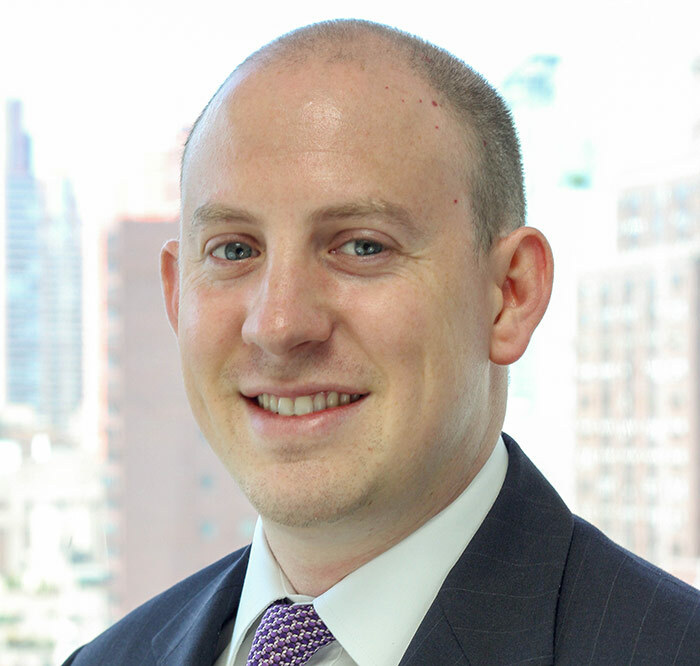 The arbitrary fact of when we were born is everything when it comes to investing. 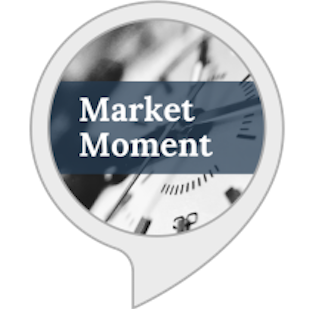 Where the market goes in your first ten years can have a disproportionate impact on how you think about investing for the remainder of your life. Consider an investor who started in 1946 (black) versus one who started in 1966 (light blue). 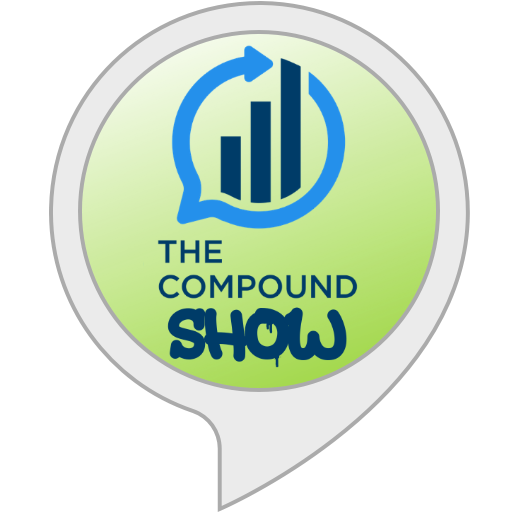 The former got the chance to invest in a market that compounded at 16.7% while the latter saw stocks compound at just 3.3% while being ravaged by two bear markets. When you were born might be the single most important factor when determining your experience in the market. It’s also the one that is completely out of your hands. From 1926 to today, there are 993 rolling ten-year periods. A person just starting to invest could have seen a market that gained as much as 596% or lost as much as 37%. These are all of the paths below (thank you Nick). The chart below breaks down all the different paths by return buckets. 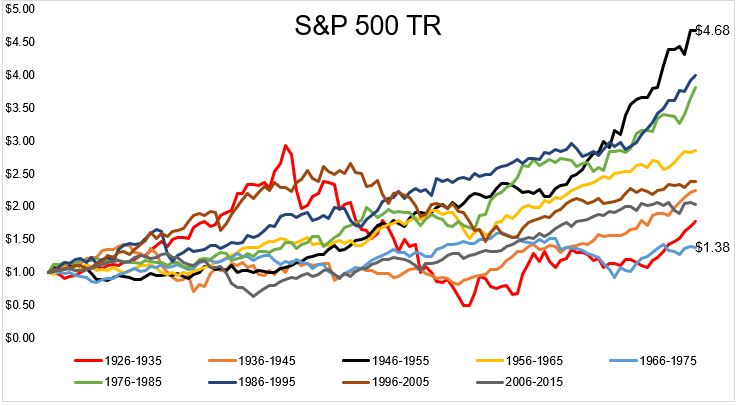 5% of all ten-year periods saw a negative total return. 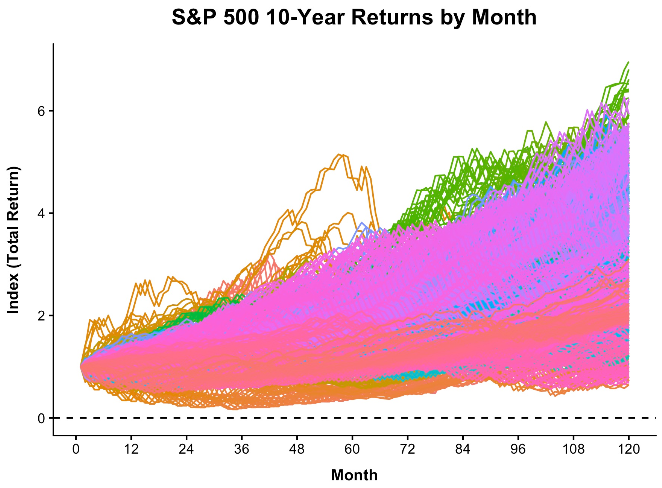 11.5% of ten-year periods had returns of between 0 and 5%. 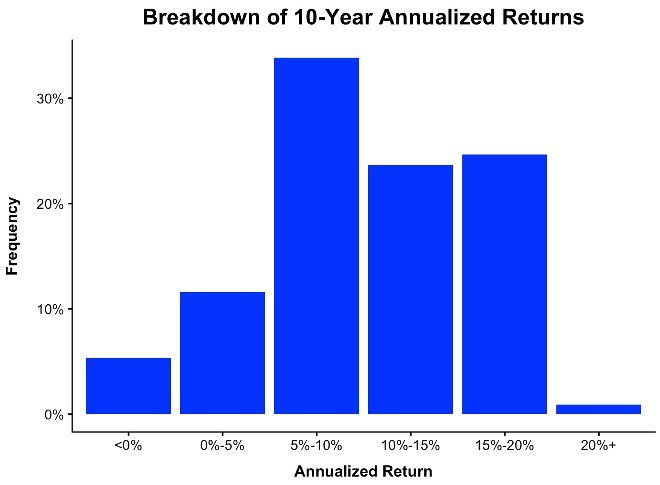 33.8% saw returns between 5 and 10%, and 49.2% of ten-year periods had annualized returns of greater than 10%. We cannot choose which of these buckets we’re born into. The Great Depression left scars on an entire generation. Between 1930 and 1951, only eight people were hired to work on the NYSE trading floor. If we were to experience another catastrophe like this today, the Dow would be below 3,000 in September 2021. If I saw stocks fall 90%, I don’t think what happened next would influence me at all. The Dow could rise to 50,000 by 2030 and I would kick and scream the whole way up, with a tin foil hat on for good measure. People in the 1960s were certainly aware of what their parent’s experienced in The Great Depression, but it wasn’t their experience. They knew about the crash, but they couldn’t remember it. 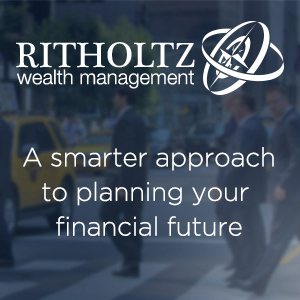 Think about people who came into their prime earning and investing years in the late 1970s. They remember the oil embargo. They remember waiting in line for gas. They remember high interest rates, and they certainly remember high inflation. In 14 out of 36 months from 1978-1980, CPI came in over 1%. In the 452 months since, that’s happened just 6 times. 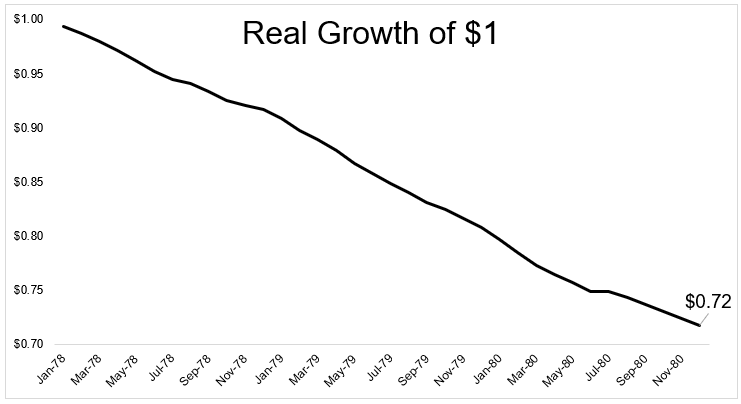 $1 after inflation shrank to $0.72 in just 36 months. This sort of shock stays with you forever. 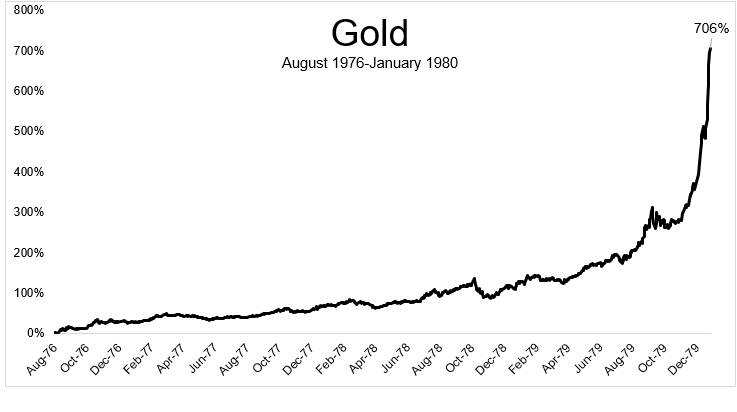 In the late 1970s, Gold experienced one of the greatest bull markets of all time, gaining 706%, or 0.24% a day for 3.4 years. To put this gold move into context, if this happened today, the Dow would be over 200,000 halfway through the next Presidential term. There is a reason why most gold bugs are over 50. People today might know about gold’s bull market in the 1970s, but they can’t remember when. There is a certain point beyond which new information does not affect how you see the world. “I remember” when is more powerful than new information. “I remember when” is not influenced by new technology. “I remember when” is personal, which makes it difficult to break free from the shackles of our memories, but it’s important to be open minded to the idea that the future does not have to look like our past, for better and for worse.